Select your session date and then select your virtual option for your Lean Six Sigma training. Note that (1) the Black Belt option includes Green and Black Belt certification, and (2) the Master Black Belt option includes Green, Black, and Master Black Belt certification. Review the descriptions below to learn more about each option. Our live and virtual Lean Six Sigma Green Belt training includes Green Belt certification. This course prepares employees to successfully execute department-level projects that save time, save money, and reduce errors. No travel is required for this certification course. All sessions are recorded, so employees can view a recorded session if a live session is missed. This certification course includes the following topics. Our live and virtual Lean Six Sigma Black Belt training includes Green Belt Certification and Black Belt Certification. This training prepares employees to complete cross-functional and site-level projects that improve profits by saving time, reducing costs, and reducing defects. No travel is required for this certification course, and all sessions are recorded so that you can view a recorded session if you miss a live session. Our live and virtual Lean Six Sigma Master Black Belt option includes Lean Six Sigma Green Belt Certification, Black Belt Certification, and Master Black Belt Certification. 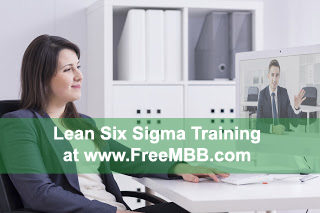 This virtual training also prepares Lean Six Sigma Master Black Belts to successfully deploy and manage Lean Six Sigma programs. After completing this course, Lean Six Sigma Master Black Belts will also be able to train and certify Green and Black Belts, and improve profits by completing and mentoring global projects that save time, save money, reduce errors and defects, and improve customer satisfaction to improve company profits. No travel is required for this certification course, and all sessions are recorded. This means that you can view a recorded session if you miss a live session.